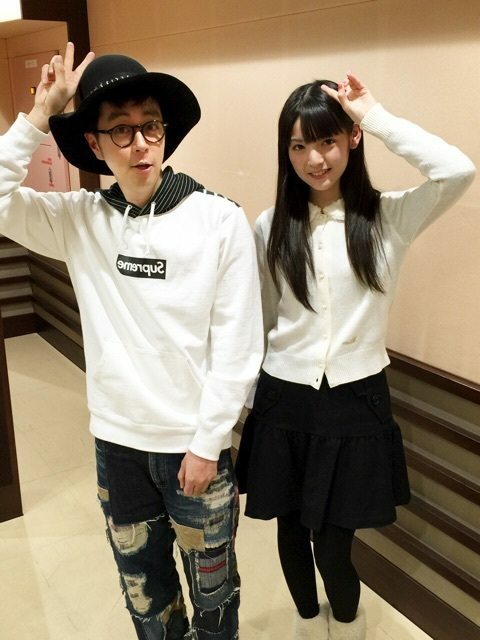 Michishige Sayumi made a guest appearance on Hyadain's radio show, Hyadain no 'Girlpop! ', which aired 14th November 2014. I listened to it a few days after it aired, tweeting what I found interesting. Was thinking about polishing it up for Hello! Pro Radio, but life got in the way. Found the semi-complete draft half a year later while doing some spring cleaning, so I thought I'd just brush it up a little and throw it up here. Enjoy. This is the first time for Hyadain to speak directly with Sayu, and he's kind of scared. As a Morning Musume fan, he's always been watching them. Which means that he's been observing Sayu, from the 6th gen auditions to her graduation. Reading her profile, he touches on her gradual growth and development as an idol. Sayu: That's to be expected. Hyadain: But some, like Oda-chan, started out already being amazing. He does like Sayu's sweet voice though. The move to the EDM and formation dances that started with One Two Three was something that made Sayu happy. Before, they had been obliged to perform the old MM classics. However, now that they perform their current songs as 'One Four', it gives her confidence - they're acknowledged as what they are now, rather than being tied to the past. Hyadain asks Sayu about her favourite phrase in the lyrics for their latest songs at the time. She has a lot, but she singles out a line in Tiki Bun - 'Enjou shita tte nan mo osorenai' - as what resonated the most with her. Literally translated, it roughly means 'I won't be afraid even if it goes up in flames'. However, the word used for 'going up in flames' is '炎上' (enjou), which can also mean getting a flood of blog comments. Thus, an alternative interpretation would be, 'I won't be afraid even if I get hit by a flood of blog comments'. Sayu ties it back to the days when she was on the variety circuit with her poison tongue character. It led to her getting a flood of hate comments on her blog posts. But, rather than getting her down, it actually made her happy, because it meant people were looking her up. Her desire to promote Morning Musume was sparked when she was starting to make appearances on variety shows. On one of them, another guest asked her, without any malice, 'How many people are there in Morning Musume?' That made Sayu realise how little Morning Musume was known and drove her to promote them. Sayu herself didn't want to be a singer, but liked Morning Musume. Particularly the cute faces of the members. Apologetically, she states that she didn't buy CDs for the songs, but for the cover photos. Sayu would look at the covers and imagine herself there. Next to centre. Not centre, because that would entail too much responsibility. Asked about the idols she likes besides Morning Musume, Sayu explains that basically, she's into cute girls - Ogura Yuko, Fukada Kyoko, Hirose Ryoko, Ashida Mana. Among the non-H!P idols, she looks up to Yukorin the most, and has dozens of her PBs. Hyadain comments that he kind of sees some similarities between Sayu and Yukorin. On relationships among the 6th gen, Sayu says that personally, she's got chemistry with Kamei. But when it comes to work, she finds it easier with Reina. Mikitty was a sudden appearance, as she was doing well as a soloist. Sayu herself liked Mikitty, writing at her audition that her favourite entertainers were Morning Musume and Mikitty. She was quite happy to get in together with her faves. Hyadain asked her how she found being a member of Morning Musume, having started from being a fan. For Sayu, she found it completely different than what she had expected. She hadn't thought that it would go to the extent that she'd even have to practise at home. That was one of Sayu's first frustrations. Sayu was also put in charge of Miracle Koharu. However, with Koha having made her solo début so quickly, Sayu felt out of place and had no idea what she had to teach her. When first became leader, there came a point where Sayu had to tell off the girls of Morning Musume. However, she had no experience in doing so, as she was a youngest child herself. She feels that they did buck up after she told them off, though she wonders if her words really did get through to them. Hyadain asks her about the member she's closest to in H!P. As it stands, with Eri no longer around, Sayu doesn't really have anyone that she's as close with. However, if asked, she'll use Momochi's name. Momochi herself doesn't mind - it makes Momochi happy, in fact. Sayu: Momochi really wants to continue being an idol, huh? On the topic of Berryz Kobo's hiatus, Sayu was surprised. She always thought that Berryz was like a permanent fixture in H!P. The first time Risako introduced herself to Sayu, Sayu thought that a Licca-chan doll had come to life. Seeing the growth of other groups at Hello! Cons motivates Sayu, and she wishes for MM to grow at that pace too. Tsunku♂: What a rock 'n roll way of thinking. I'm down with that. While she says that she wants to graduate at the peak of her cuteness, as a person, Sayu wants to continue living cutely. 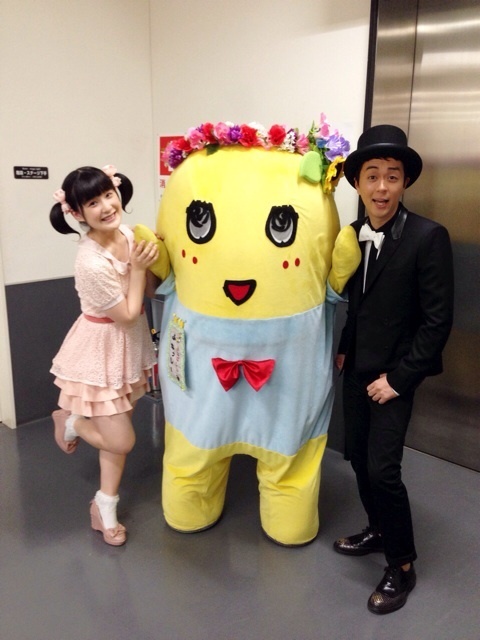 Hyadain praises Shabadabadoo's cute PV that brings out the good points of Sayu. Sayu feels like Shabadabadoo is a gift from Tsunku♂. Hyadain describes it as a song that comes with a ribbon attached. Sayu: Ooh, I like that expression. I'll be using it from now on. Sayu wants to make memories with all 14 MM members. She's had a takoyaki party with the existing 10, but not with the 12th gen. She thinks that rearranging the formation dances for 13 people will be a tough job. After her graduation, Sayu would like to relax on the things she usually keeps an eye on - things like sleeping without setting the alarm, having midnight snacks, sleeping on her tummy. Sayu prefers to sleep on her tummy, but she couldn't as an idol, because her face would get puffy.